South Tyneside College has confirmed it has successfully merged with a North East neighbour. The college and Tyne Metropolitan College (TyneMet) have joined forces under the name of Tyne Coast College, a move bosses say will support and cement the provision of further education for years to come. Both colleges will continue as distinct brands, as will South Shields Marine School, which is operated by South Tyneside College. The merger follows about 18 months of discussions, which included a six-week public consultation, where 86% of respondents supported the merger proposal. Leaders at both colleges insist business will continue as usual, but with Tyne Coast College operating from campuses on both sides of the River Tyne and serving about 15,000 full and part-time UK and overseas students. Andrew Watts, chairman of South Tyneside College, said: “Tyne Coast College has a very positive future and will play a hugely important part in the present and future economic success of the North East. “It will be financially strong and deliver the type of modern, mainly vocational curriculum that helps students to get important qualifications in sectors where jobs exist, are being created or are needed. Bill Midgley OBE, chairman until the end of 2017 at TyneMet, added: “The creation of Tyne Coast College is an exciting development for the further dducation sector in this region. The merger aims to strengthen teaching and learning, safeguard existing services, and result in a financially-stronger college that can better deliver improved skills for students locally, regionally, nationally and internationally. 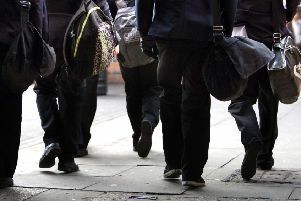 Other brands, including South Tyneside College (Professional and Vocational), and sub brands such as Career College North East, Marine and Offshore Safety Training Centre, Ignite, and North East Sports Academy, will also be maintained. It is expected that Tyne Coast College will also look to expand provision that combines to support the employment needs of students and the skills requirements of businesses.